The Van Buren corridor from 7th St to Interstate-10 is currently a top priority at the City of Phoenix as a revitalization project (street widening and beautification, moratorium on car dealerships/automotive repair shops) to enhance the overall area. 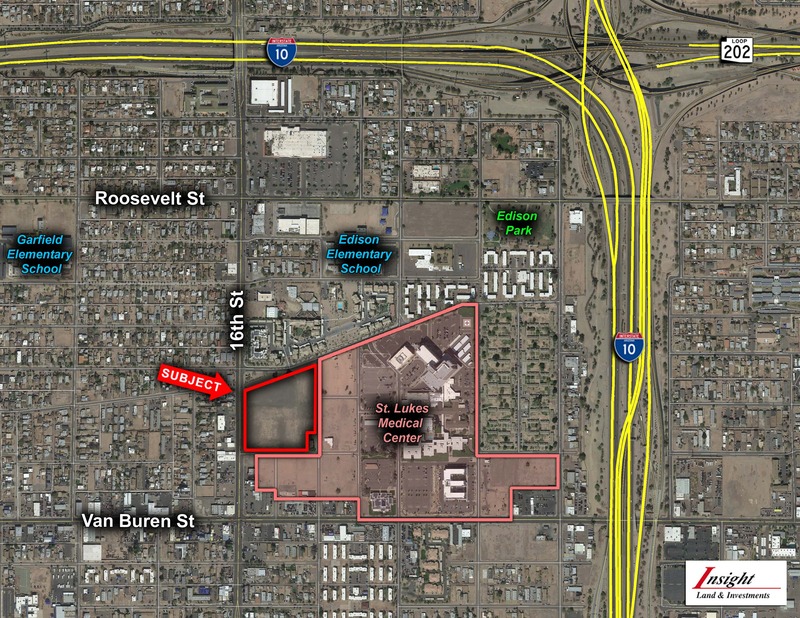 One of the largest vacant land parcels available in the downtown Phoenix market, with all utilities to the property and all off-sites completed. Site has great access to Interstate-10 via interchanges at 16th St and Washington St / Jefferson St. The property is located with-in an “Opportunity Zone” which offers investors who reinvest capital gains monies in these areas to receive reductions on capital gains taxes relative to the years of their investment.